Can You Solve This Optical Illusion That Is Making People Insane? The solution actually lies in the way you see the image. 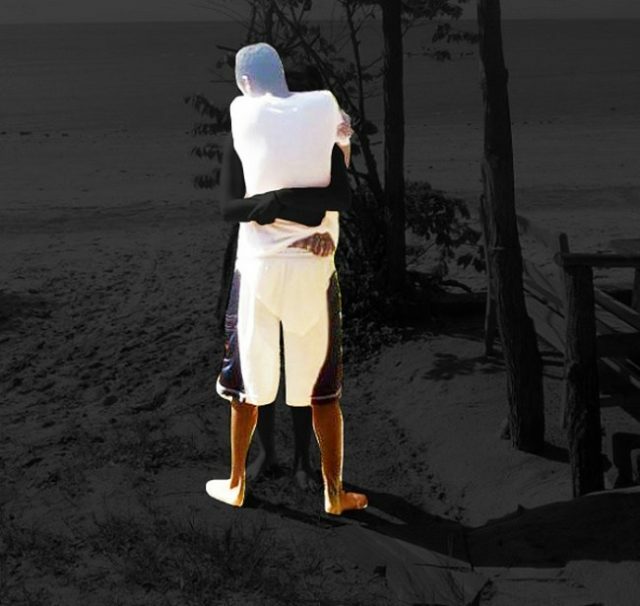 It is pretty difficult to make out how the two people are hugging each other. But the actual solution pops out the moment you focus on the shorts of the person whose back in towards you. If you watch closely, you will find that the person who is standing backwards is wearing the shorts whose colors match with the girl’s shorts. The white color in the middle of the man’s shorts gel with the white color of the woman’s shorts and hence the optical illusion. Whoa… aren’t you feeling much better after knowing the true scene behind the optical illusion? Our brains surely felt much better!!! Tell us what you feel after watching this hug which created the weirdest optical illusion of recent times.